We're sorry to see you are looking to cancel your SiteWit subscription. Make sure to get a hold of us if you have questions about our services, or need help with something. SiteWit runs on automated billing for all of our services. If you need to cancel a campaign, follow the instructions on How To Cancel A Google/Bing Campaign in our help center (How to Cancel a Display Campaign). After cancelling your campaign(s) you will no longer be billed for that campaign. If you have multiple accounts, with multiple campaigns, you will have to manage each one separately. 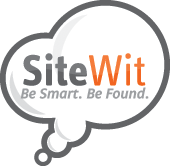 For further assistance, email us at support@sitewit.com, or come live chat via your SiteWit dashboard during business hours. I have no idea where to go to cancel my subscription. Where do I call. i cant cancel !!!!!! Where do I call.